RoboBraze is a mobile induction heating and brazing unit that can be integrated with robotic arms, in automated production lines or for in-place brazing. 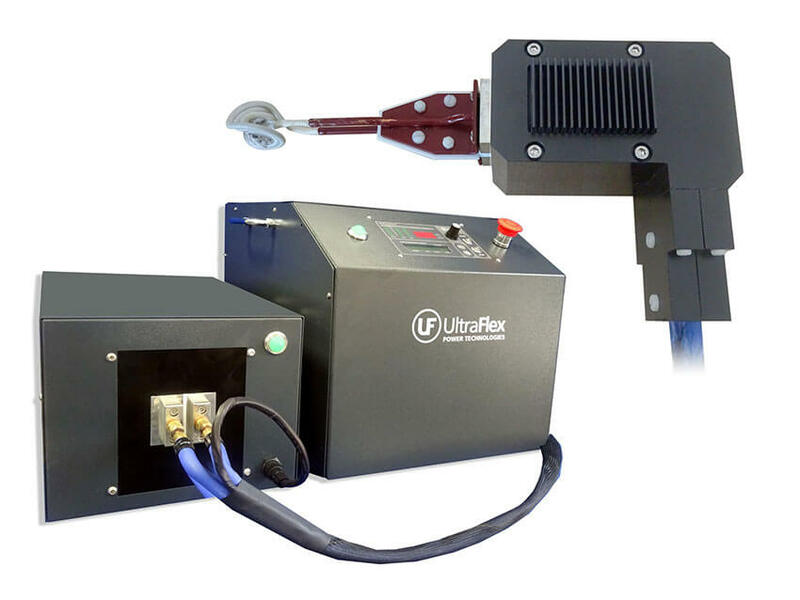 The RoboBraze unit has special induction heating terminals to mount various custom heating coils. It can be interfaced with PLCs or industrial robots via analog and digital signals or serial interface. It can also be combined with a coil switching system to allow operating multiple systems with different coils. designed and manufactured for customer’s application.